We offer a superior range of pressure vessels to clients in global markets. These vessels are available In Horizontal As well as in vertical Arrangement. Our company is engaged in offering vacuum jacketed storage vessel, which is widely demanded in diverse industries across the globe. These are equipped with bayonet couplings for ease of installation and capped bayonet or field joint coupling for future expansion. Our range is renowned for application specific design, corrosion resistance, and high efficiency. It contains all stainless steel piping, nozzles, valves on storage unit as per standard. The Vacuum Storage Tanks has been vacuum insulated perlite insulation standard. We designed to limit normal liquid charge up to 93% of the normal volumetric capacity of the storage unit. Designed to limit normal liquid charge up to 93% of the normal volumetric capacity of the storage unit. SAM Gas Projects (P) Ltd. is an ISO 9001:2008 certified organization established in 2004 by a team of three pioneer engineers, who had earned their name in the field of manufacturing & designing of prime quality PSA nitrogen generators/plants & exporting the plants globally. A strong customer-focus approach and constant quest for top-class quality have enabled us to attain and sustain leadership position in this field. Not only this, we have entered into the field of designing and manufacturing of Oxygen Generators, Hydrogen Generators, Ammonia Cracker and various types of Compressed Air Dryers etc. The success behind our achievement is a result of their continual commitment and cooperative attempts put in by skilled staff and manpower. Our gas plant are incorporated with exceptional technology and faultless quality. Since inception, we have gradually shaped up and advanced the ambit and quality of our gas plants (nitrogen gas plant, oxygen gas plant, hydrogen gas plant) depending upon the needs of clients. The company is known for its transparency and honesty. 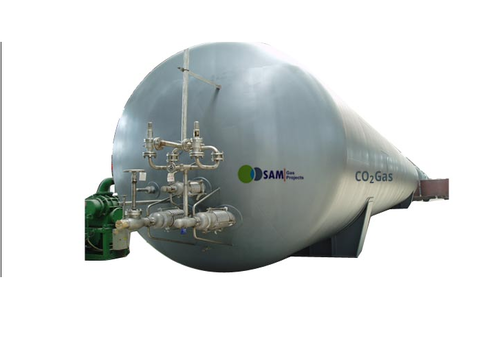 SAM Gas Projects (P) Ltd. promote innovation and individual duty that imparts a positive affect on the company as a whole.some of our major client are Tata Steel Ltd, Hindalco Industries Ltd., Ranbaxy Laboratory Ltd., Fortune 500 Companies, Maruti Udyod Ltd etc. H.O. & Works : E - 30, Udyog Kunj, U. P. S. I. D. C., Industrial Area,.